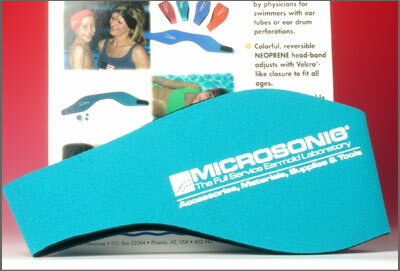 Swimmer’s reversible neoprene headband with velcro-like closure in back to adjust for size. 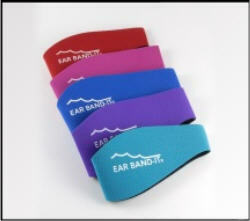 To be effective, it must be worn with earplugs or swim molds. Three sizes and five colors are available.